Crash's 20th Anniversary treatment: Remaster. 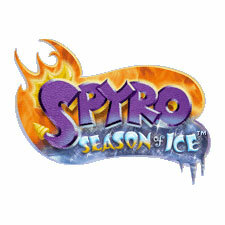 Spyro's to-be: same damn thing. Not gonna get it though because I finally got pissed enough at PlayStation to shift over to Xbox in the future. Goddammit man. They've been playing with our patience for years, and I don't wanna take it anymore. Good for you, but it's not gonna change anything. They can do their remaster-but-actually-remake once again and thousands will buy it on nostalgia alone, because that's all that some people cling to with some older franchises. Not if they're tied to corporate decisions over lovingly fan service. I'm absolutely not investing in anything Spyro unless it's a fan game or a completely different franchise that at holds a Spyro vibe to it, even if it is very little. Except that putting him as a pawn in a completely unrelated franchise was stabbing the patience some of the Spyro fans were having ever since TLoS DotD, Hero's Tail, 3, whatever (myself included), and still does it to this day. You know what? Screw this topic. I'm closing it the next time it becomes idle enough. I grew up with Spyro and I know how that feels (hell, I was looking forward to the supposed LoS movie for years, to the point I called my local theaters asking if they knew more information or had posters or something that I could take), but I've moved past that by now to put my energy towards other things and it feels much better. Again, I don't like him as a Skylander and I feel it's wasted potential, but you have to accept that nothing's been hinted at and chances are that nothing is in the works. Be angry if you want, part of me is still sad about his current status, but making a topic that's just your venting doesn't prompt interesting discussion. Frankly, it pretty much demonstrates why the Spyro fandom is dead- it's more focused on complaining about the lack of new Spyro games than doing any fanwork, searching for details on older/cancelled games (which Crash fandom did) or the like (that it was divided between LoS, classic and more fans when it actually was active doesn't help). You guys are part of the problem: you didn't make a stand against what this forum ended up eventually supporting. Hell, most of you fell into the corporate trap that you didn't even know you could've oppressed upon the very announcement of these worsening-for-Spyro's games. A very few of you may have not, but a majority of you have, and because of it, you doomed the fandom, you doomed the franchise, and you doomed Spyro himself to the point he can never get out of the hell hole that's disguised as the piece of candy that looks good but ends up being eventual Pepto Bismol fuel. I'm the most OG brick wall that understands what the difference between love and manipulation is. I do not let myself get manipulated.